The merger of Kennesaw State and Southern Polytechnic State Universities continues as the institutional systems combine into a unified network. This, along with the proposed merger of Georgia State University and Georgia Perimeter College, represents the latest chapter in what has been a story of change and upheaval within the University System of Georgia. Of course, with 31 institutions spread out across the Peach State, this now begs the question. Who’s next? Look southwest, my friend. Cost cutting moves are nothing new in the world of academia, especially higher education. With several states challenging colleges and universities to become leaner and offer more affordable degree options, Georgia has felt the need to keep pace through consolidations and elimination of duplicating programs. Much of this change has center on the northern tier of the state, with Atlanta, Augusta and Macon affected by recent combinations. While two institutions in the southeast region have been combined into South Georgia State College, the southern tier has been largely unaffected. A year or so ago, the Albany Herald reported that Darton State College, one of the largest community colleges in southwest Georgia, may be on the consolidation block. While there have been rumors swirling about a possible combination of Darton and nearby Albany State University, the challenges of merging a community college with a historically black college (HBC) is cumbersome, at best. Albany State and its HBC brethren, Fort Valley State and Savannah State, are stalwarts in the University System as far as independents go. The hornet’s nest liable to be stirred up through consolidation of any of these three schools with a community college makes such an idea both politically and bureaucratically unappealing. So if the rumor mill begins to turn again, which colleges are the likely candidates? South Georgia is notorious for its local politics and hometown pride, and its local colleges and universities are no exception. Two of these schools are the big boys on the south Georgia block: Georgia Southern and Valdosta State. Both have relatively influential alumni bases, and both have powerful friends in Atlanta, making absorbing a nearby small school unlikely. Their relatively broad curriculum offerings leave little room for adding value through combining with other schools – while North Georgia’s creation was largely the result of curriculum value from merging respective schools, the Kennesaw State/Southern Poly merger was the direct result of cost-benefit analysis. There is no institution within reasonable proximity of either Statesboro or Valdosta offering the same sort of return. So that leaves four schools in southwest Georgia which could be ripe for consolidation. Darton State College, Abraham Baldwin Agricultural College in Tifton, Bainbridge State College, and Georgia Southwestern State University. Of these four, only Southwestern is at the university level, and would likely become the lead institution. While nearby Columbus State University could ultimately become part of the equation, that would face serious local opposition, with favors being called in to the Board of Regents. Georgia Southwestern, conversely, has little pull in the capitol, but still holds enough sway thanks to one very prominent alum of presidential stature – Mr. Jimmy Carter – to keep it from being swallowed whole. In addition, GSW has had a lot of money invested into it, so any sort of merger would likely come with the stipulation that GSW takes the lead. A combined Georgia Southwestern would go from being a voice in the wilderness to a rural juggernaut almost overnight. With a combined enrollment of nearly 13,000 students, such a combined institution would face huge challenges swallowing so many enrollees, but the payoff could be massive. Increased alumni support, combined with stronger marketing muscle, could transform GSW from a “small town” college into a regional powerhouse, capable of competing for money and students with Valdosta State, Columbus State and even Georgia Southern. Cities affected could use the university as a marketing device, adding value to their business communities. Add to that enhancements to its already strong Nursing and Education programs through the addition of experienced faculty, and this merger may be just what the doctor ordered. 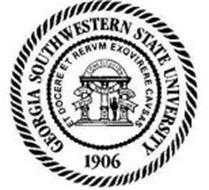 Of course, this could be a pipedream, and it could be a total logistical nightmare, but the fact remains – if the system decides another round of consolidation is in order, Americus could become ground-zero for the creation of Georgia’s next major regional university, and – pardon the GSW mascot pun – it could rock the state like a hurricane.